Two days of workshops, panels, short sharps and in-depth speeches! Registration will open at 10h00 on Friday 8 June. Workshops will start at 11h00 until 16h00. Workshops will be followed by the plenary session with our Keynote until 17h30 followed by a Media Mingle reception. Doors and registration will open at 8h00 on Saturday 9 June. The conference will start sharp at 9h00 and will close at 17h00. Please, use the Sloane Street Entrance. Each vehicle that comes into the campus will receive a parking ticket on entry, which delegates would need to produce on exit. Each driver will be required to sign in or advise the guard where they are going. 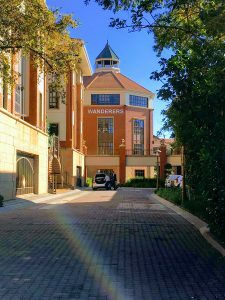 You should say: The Wanderers Building. There are 120 PARKING bays in the Wanderers building basement parking, however, this is on a first come, first-served basis. Additional parking is available at our overflow parking a block away from the venue. See you on Friday and Saturday!